Dear teachers, students and staff of the Faculty of Foreign Languages! I sincerely congratulate you on the bright and joyful winter holidays. 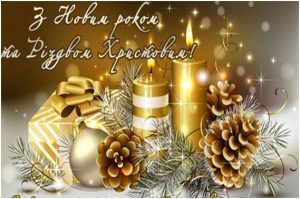 Let the New Year 2019 and Christmas bring you good news, happy events, add vitality, creative inspiration, faith in fulfilling cherished dreams and hopes! Sincerely, Dean of the Faculty.